Why post them, then? Well, based on what we've heard from our sources, who attest these panels are a very close match to the actual devices, these images are the best representation we've seen yet of the unreleased Samsung phones. Particularly, the extra sensor windows for the iris scanning array caught my eye - something renders from fans and unreliable and opportunistic case vendors have failed to include in their images, which have instead hedged closer to the Galaxy S7. This appears to be a live shot of replacement panels, and the large number of sensor windows corresponds much more closely to those found on the more recent Galaxy Note7, the array of which I've shown below. 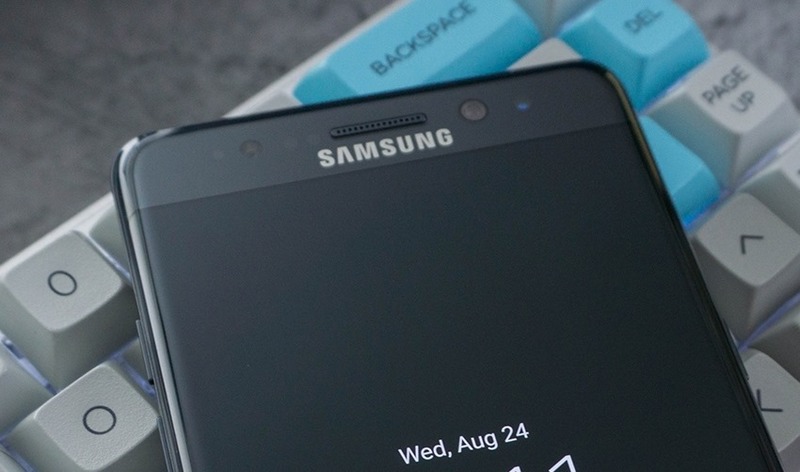 Note the six separate windows on this Note7 - the S8 panel appears to combine the two small windows left of the Samsung logo into one wide window, but is otherwise very similar. The level of bezel on display here is kind of insane - there's almost nothing but a little sliver to act as a place to rest your thumb. Both sizes of panels also appear to sport curved displays. Interestingly, the corners of the display cover glass where the opaque portion of the panel meets the transparent area are rounded. This would seem to suggest the display's corners will actually be round themselves (something our source has also confirmed as accurate), which would be a very significant design change compared to almost any other smartphone on the market. Combined with the minimal bezel, this would give the S8 a very striking look. 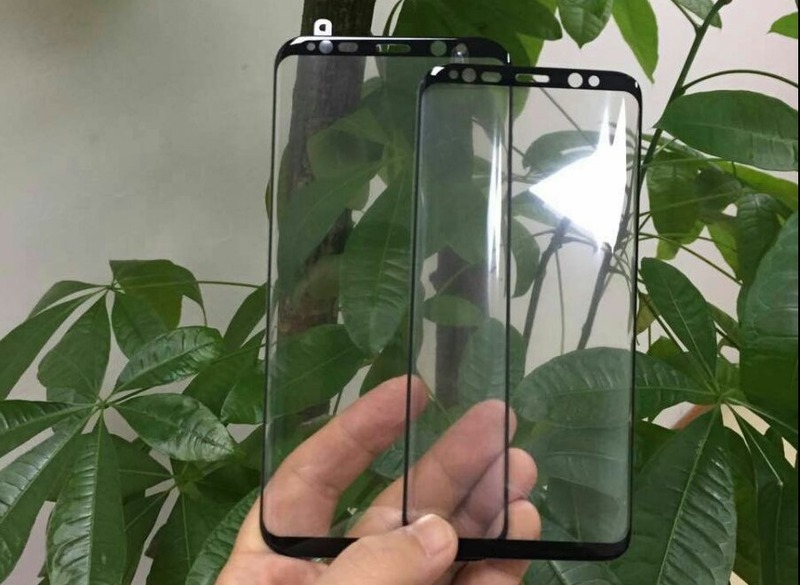 The person who leaked these photos has clarified that they are not glass cover panels for the Galaxy S8, but rather tempered glass screen protectors produced by a third-party company for the phone, designed in advance of its launch. Still, we believe the protector gives a good overall understanding of the size of the bezels, the fact that both models have curved screens, and that both displays have unusual rounded corners. That last part is something we've confirmed is on the Galaxy S8 with our sources, and we have seen no other leak to date that references this feature. That leads us to believe these protectors were designed based on legitimate information from Samsung or its suppliers about the size, configuration, and layout of the display.